BOCA RATON, Fla. (AP) — The stepmother of actress Lindsay Lohan was arrested in Boca Raton on a simple battery charge after she allegedly threw a candle in a glass holder at her husband during an argument over a cellphone late Thursday, according to an arrest report. 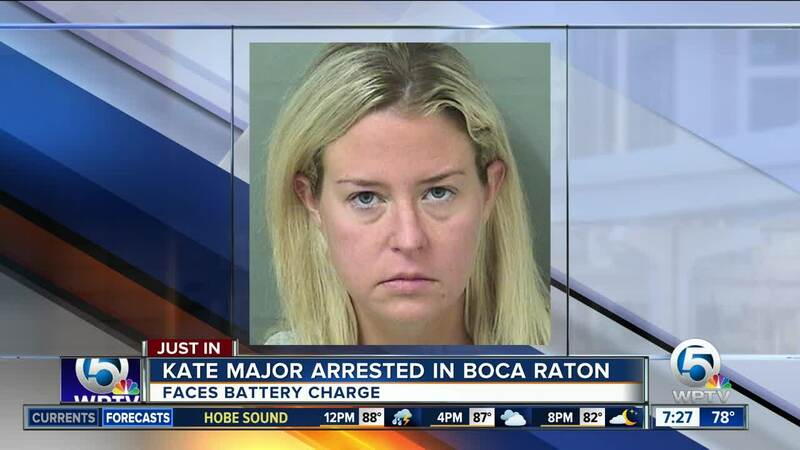 Officers were called to the couple's home in Boca Raton by Michael Lohan, according to a probable cause affidavit that was heavily redacted. He told investigators that he went outside to "separate" from Kate Lohan, but she followed, "shouting at him about the cellphone." When investigators asked Kate Lohan about the cut on her husband's arm, she told them she didn't know how it happened. She said her husband had said he was going to hurt himself and call police to get her in trouble. When the investigator asked if she had thrown a candle at him, Kate Lohan said she didn't know what he was talking about. Kate Lohan told investigators she didn't know how the broken glass had gotten on the front lawn, the affidavit said. The Palm Beach Post reports police took Kate Lohan into custody in August for a mental health evaluation after she and her husband got into an argument over their children. 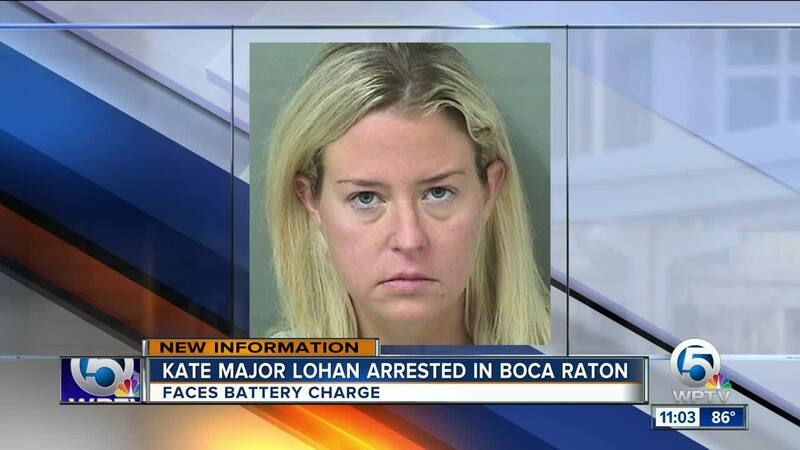 In 2016 , Kate Lohan was accused of kicking a police officer in nearby Delray Beach. Court records said that arrest happened during an argument with her husband.